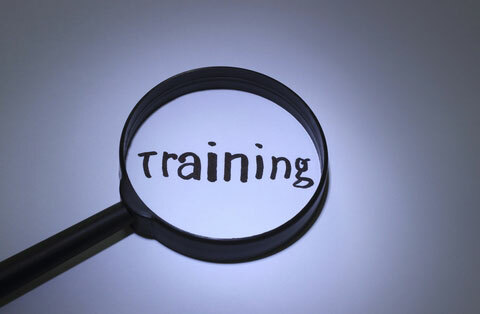 Are You Guilty of Training Malpractice? Direct-to-consumer advertising is intended to encourage patients to ask their physicians about a particular drug when they think it might help them. But we don’t expect — or want — physicians to simply dispense a drug without first establishing that it is the right therapy for the patient’s condition. Why? Because if it is the wrong treatment it won’t work. That would be bad for the patient and ultimately bad for the drug. Inappropriate use can ruin the reputation of an otherwise valuable therapy. Prescribing without diagnosing is medical malpractice. Is there an equivalent in our profession — a sort of training malpractice? We think there is. It’s anytime that we fulfill a request for training without taking the time to be sure it is the proper therapy. When we do that, we run the risk of applying the wrong intervention (training) to a performance problem. That’s bad for the trainees, bad for the business, and ultimately, bad for the training department; it spoils the reputation of an otherwise useful therapy. Training is a powerful tool for improving performance when the underlying cause is a lack of skill or knowledge. But it is the wrong treatment and a waste of resources when the real cause of the poor performance is inadequate incentives, insufficient feedback, unclear performance criteria, and so forth. The trouble is that many business managers don’t differentiate between problems that training can, and cannot solve. To some, training is a hammer and every performance problem is a nail. Faced with suboptimal performance, their knee-jerk reaction is to call training. But what do you say to a senior business manager when he or she says “we need a training program on …” when you are pretty sure the problem is not one training can resolve? Author Harold Stolovitch recommends saying “I can help you solve your problem” because that shows that you are willing to help without necessarily promising to deliver training. What performance the manager is seeking to improve. The business value of doing so. Whether training is part of the solution. What else needs to be in place (in addition to training) to achieve the objective. Only then should you recommend a treatment regimen. Note that we carefully avoided using the term “training needs analysis” since that presupposes that training is the answer. Your task is what authors Dana Gaines Robinson and James Robinson termed “Performance Consulting” — understanding the performance that the business needs and then deciding the best way to help achieve it. The focus has to be on business objectives, not the learning objectives — they come later. That is why defining the business outcomes is the first of the six disciplines taught in the LTEN 6Ds Workshop. Whatever you call it, understanding the performance challenge before you provide training is the L&D equivalent of getting the diagnosis right before you start prescribing medications in healthcare. Skipping straight to instructional design and delivery is training malpractice that greatly increases the risk of treatment failure.